We've unearthed Adolf Hitler's half-brother in our 1911 census records, and his return makes for fascinating reading. 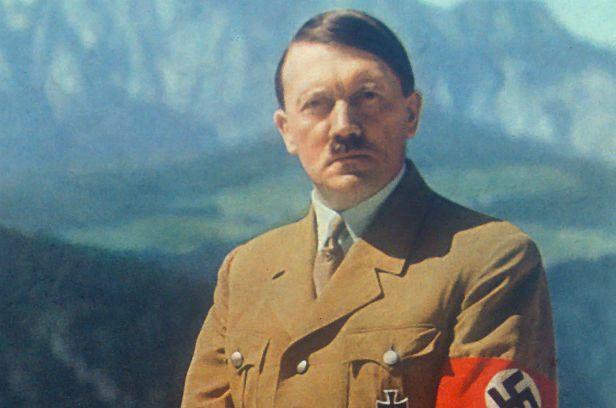 Alois Hitler Jr had a troubled childhood, and was said to have had a rocky relationship with his parents. In 1910 he met a young woman called Bridget Elizabeth Dowling, at the Dublin Horse Show in Ireland. Alois and Bridget eloped to London, and married in June 1910. 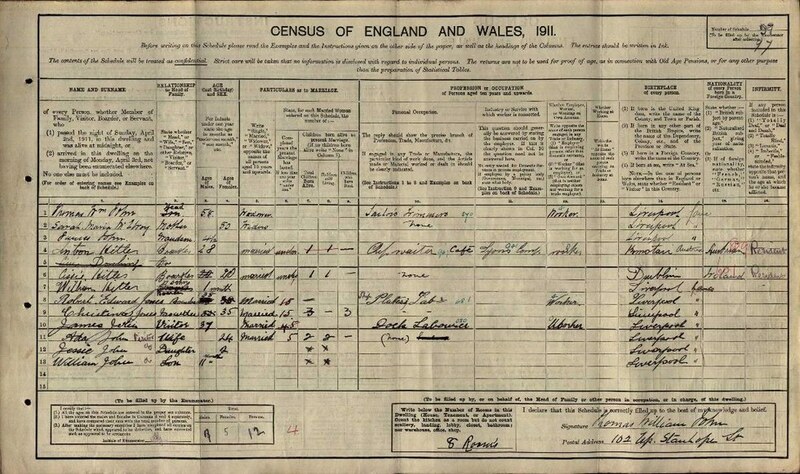 Alois' 1911 census return shows him and Bridget living at 102 Upper Stanhope Street, Toxteth Park, Liverpool. This house is reported to have been destroyed in a German air-raid on Liverpool in 1942. The form appears to include lots of different styles of handwriting, so we can assume that the boarders in the house each filled in their own details. We believe therefore that Alois completed his family's details, especially when we look at his son William's entry. Above 'boarder', which has been crossed out and re-written underneath, Alois has referred to William as 'Sohn', the German word for 'son'. 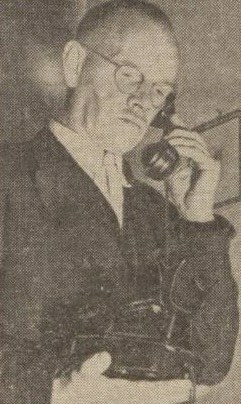 Alois Hitler, pictured in Dundee Evening Telegraph, 19 October 1945IMAGE © D.C.THOMSON & CO. LTD. IMAGE CREATED COURTESY OF THE BRITISH LIBRARY BOARD. Alois has recorded a different name on the census return, Anton. Bridget has also recorded a different name, Cissie Hitler. The first recording of her name is crossed out on the form but the name 'Cissie Dowling' is still clearly visible. Having been married less than a year, it seems Bridget was still adjusting to her new married name. We can also gather from the census form that Alois was born in Austria. 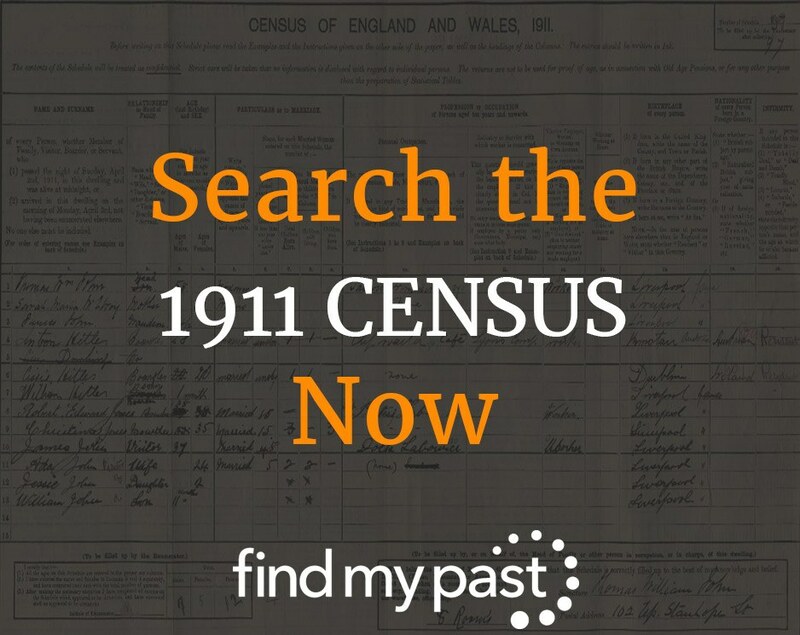 At the time of the 1911 census he was working as a 'Chef waiter' in a Lyons cafe. This is particularly interesting as Lyons was a Jewish company, leading us to wonder if Alois' views differed drastically to those of his infamous brother.